It’s hard to avoid mentioning the state of the economy these days, but why not make the best of it? Most of us have been downsizing our ways of spending in many different ways, and sometimes our living space can suffer. 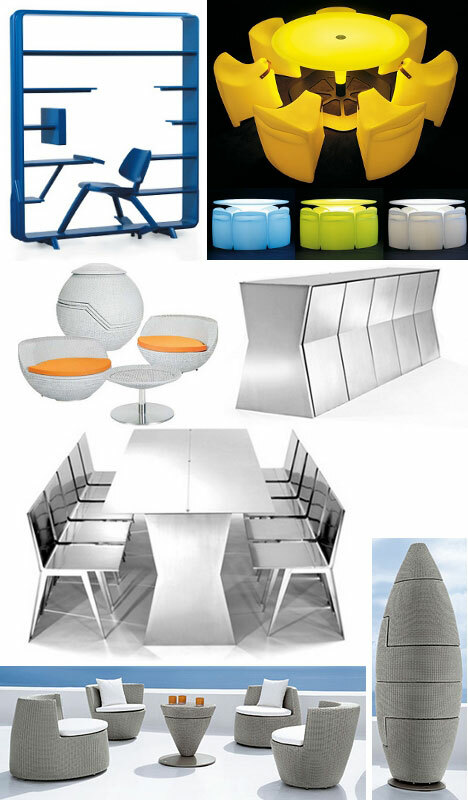 Here are 15 unique pieces of furniture that will help you upgrade and streamline the place you call home. 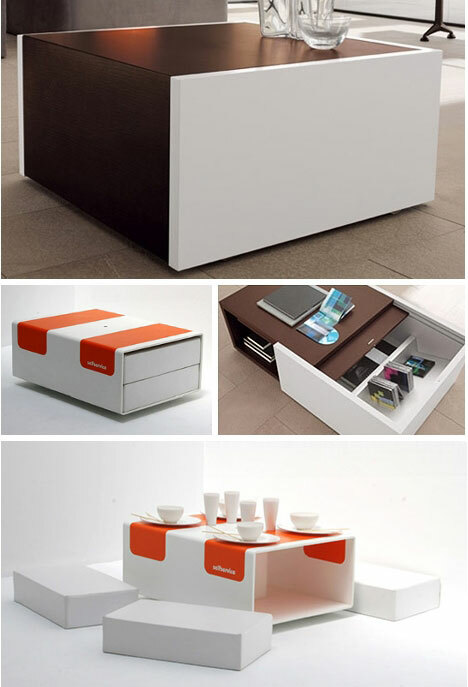 So you have company over, but need some options for extra sleeping space? Look nofurther than these couchsurfing alternatives. 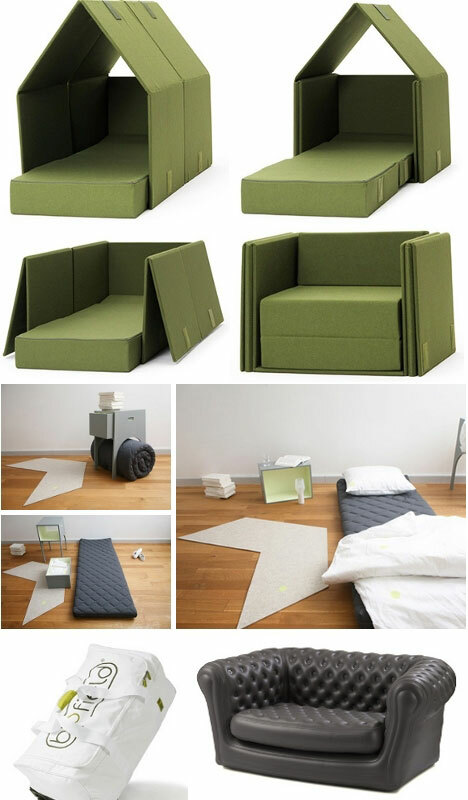 The Tent Sofa creates privacy with folding panels once transformed into a bed. Stay At My Home is an all in one package that allows you to provide a simple, comfortable sleeping option for your guest with a mattress, removable drawer, pillow, bedside lamp and carpet. This all fits in and around the side table pictured. Inflatable mattresses are so passé. Get an inflatable sofa instead. The Blofield Inflatable Chesterfields Sofa is constructed from the same material used in life rafts, which says something about its durability. You can use it as a permanent fixture in your place, or simply blow it up in less than five minutes for an overnight guest… or take it floating? This is by far the holy grail of space-saving goodness. 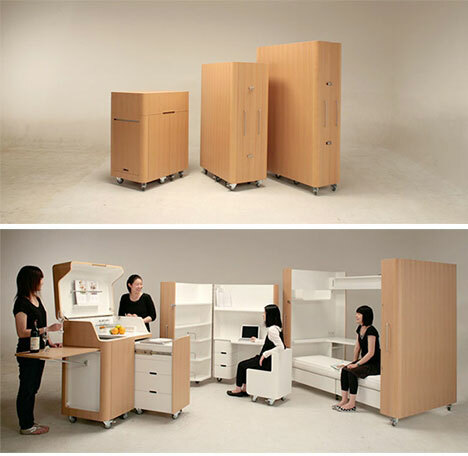 The Kenchikukagu is a set of mobile furniture that includes a fully functioning kitchen. Take a peep at the video clip below and behold the pieces in action. The set also includes a mobile guest room and work space with lighting. These are not concept designs, and are available atAmazon Japan for JPY 800,000 (about $7,346). Want more fun and adventure in your 400 square foot space? 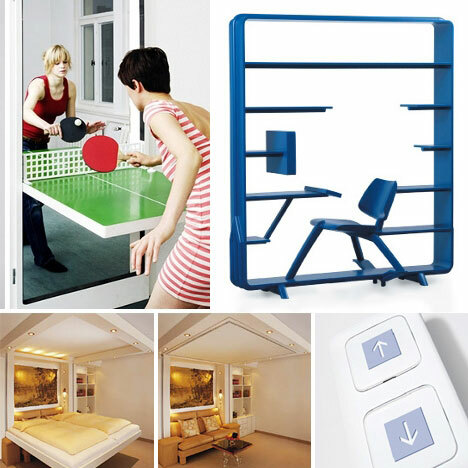 Look no further than The Hanger and Ping Pong Door. You need to hang your jackets somewhere, but you’re tired of the coat rack; hang them on a miniature indoor rock climbing gym. Upgrade your Scrabble night to Ping Pong night with the Ping Pong Table designed byTobias Fränzel. Flip the panel down to create instant fun, with equally easy cleanup when you’re done! 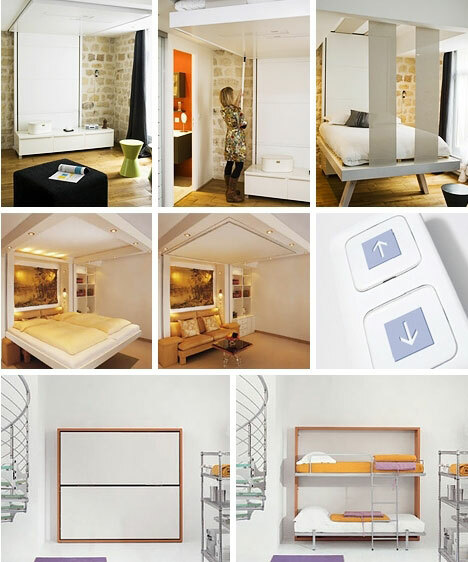 Small spaces are often associated with a lack of functionality and flexibility to live how you’d like. With these innovative examples of furniture and accessories for your home, you can soon turn your cozy space into a paradise, no matter what the square footage.